Chewy brown butter blondies bursting with fresh blueberries and dark chocolate chunks. I guess I’m on a blondie bender. Is that a thing? After this recipe, I made a monster batch of my famous KISD blondies for a friend, last week I ran into the kitchen to make this new recipe and then I actually doubled it to make it again for a crowd but swapped cherries for the blueberries. Oh brown butter. I made a brown butter blueberry cookie last summer and loved them so much I just knew this blondie would be good. And if my lack of self-control immediately after taking pictures of the blondies is any indication, the recipe is seriously good. It’s a good thing I brought a few to a friend because otherwise I would have eaten the entire batch that day. Brown butter is perfect no matter what, but yes, start baking with it immediately! A blondie bender is the best kind of bender to be on! At least in my opinion. Love that these are brown butter AND blueberry stuffed! The two best B’s. Yum love the addition of blueberries for a fresh sweet hit! Blueberries in with cookies? Let alone cookie bars? I must be living under a rock!! Gimme please! I added butterscotch chips to this and it was one of the best desserts I’ve ever made but I went back and now the link doesn’t work!!!!! Do you know where I can get the recipe still? Thank you so much for the nice comment, Cassie. I’m going to try to get that recipe up on my site this week! 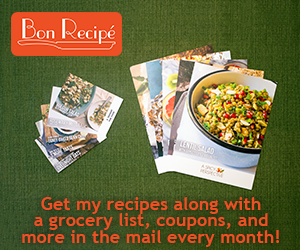 The recipe is now included in the post!